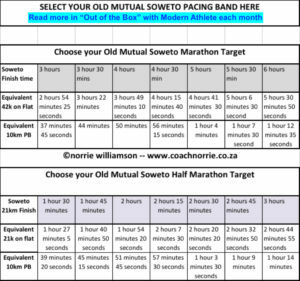 The Old Mutual Soweto Marathon is run for the 25th time on Sunday. 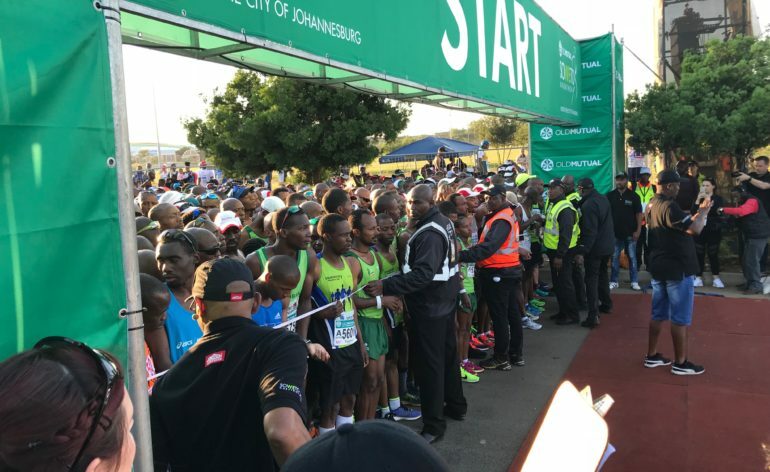 The first race was run from the old wooden Orlando Stadium but the second in 1992 was held from NASREC, and apart from a few years where it switched to Elka Cricket stadium NASREC has been the home for the Peoples Race. 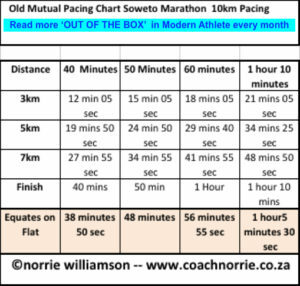 Soweto is not only recognised as one of the largest but also one of the most tactical races on the South African fixture list. 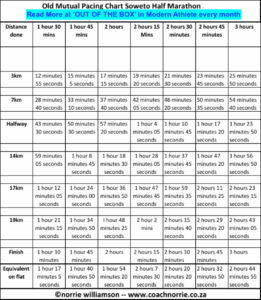 No matter whether you are running the 42km, the 21km half or the 10km, these are NOT races to simply speed off into the horizon!! 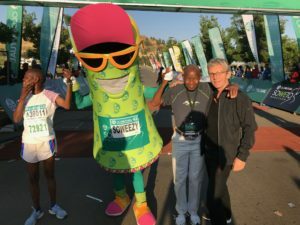 AND THE SPECIAL NEWS IS OUR STATE PRESIDENT WILL BE JOINING US IN RUNNING IN THE 25TH SOWETO (SOUTH WEST TOWNSHIP) MARATHON …. A SPECIAL DAY INDEED. 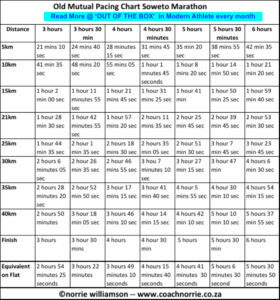 HAVE THE VERY BEST OF RUNS..